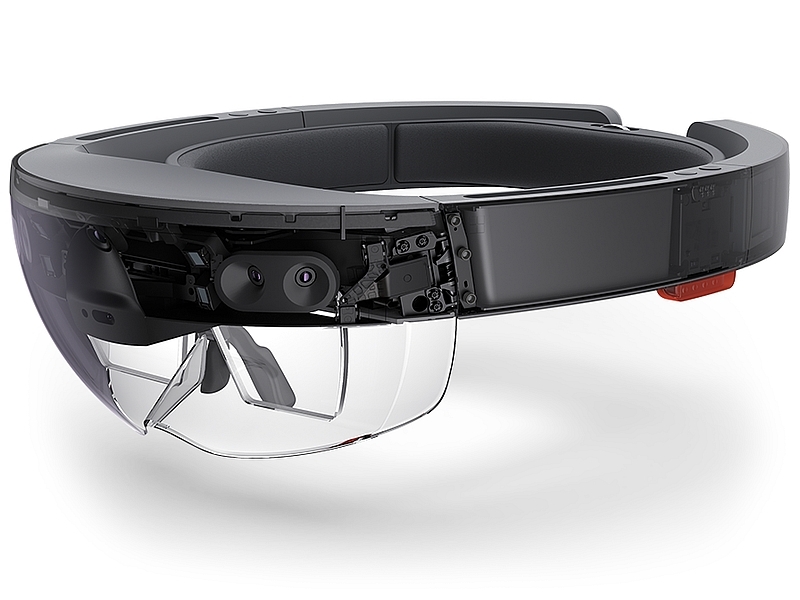 Microsoft is likely to make a number of announcements about HoloLens on Monday. The Redmond, Washington-based company could begin taking pre-orders for its $3,000 HoloLens Development Edition ahead of its March 30 launch. The company is also expected to unveil three HoloLens games. Last week, leaked documentation of HoloLens revealed that the company plans to host an event on Monday. It appears Microsoft indeed plans to give us an update on its first augmented reality project. Fortune Magazine accidentally published a story over the weekend, revealing all the details. The post, which was supposedly under embargo, has been retracted since. According to the report, HoloLens users will also get Fragments, Young Conker, and RoboRaid game titles. Fragments, for instance, is a game that happens around the wearer in his or her living room. Players are required to investigate clues. RoboRaid “utilises spatial sound as a gameplay feature,” and alerts gamers about the directions they have to turn to. These games alongside non-gaming apps such as HoloStudio, which is aimed at allowing developers to learn gesture and other commands and create “3D in 3D–at real-world scale.” The suite will also include an app called HoloTour, which will offer panoramic displays of various places, making a user feel that he or she is there, and can roam around. The Developer Edition will also come with an enhanced version of Skype, which will allow users connect with their friends even when playing in the augmented world. It will also demonstrate how HoloLens can be utilised for remote collaboration. Nasa recently showcased how it was utilising HoloLens to have their astronauts interact with people on earth as they were in the same room, and also walk around the surface of Mars without ever leaving the campus. According to the report, Microsoft will also release an app called Actiongram later this year. The app is touted as a storytelling medium that will allow developers to overlay with real world objects. Last week, we also saw the Start menu for HoloLens.